Honoré de Balzac. Famous enough to trump in public. The true test of fame. 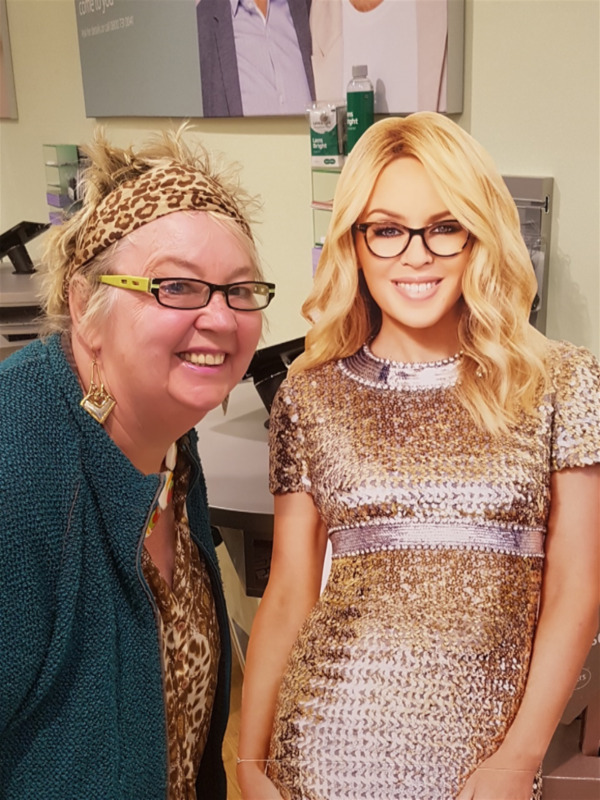 In mitigation, Shakespeare’s genius shines through only 90% of his work – he had his off days - and I’m light years away from being a second Bard of Avon. You want more than just an account of our travels? Okay, let’s get right down to basics then with a brief meander around the most basic of all subjects: flatulence. She whips out her phone and starts a lengthy conversation with her, obviously very picky guests back at the house, while the queue behind her gets more and more agitated. Rude? Inconsiderate? Undoubtedly. Even worse, she breaks wind, loudly, twice, while relaying messages from her phone to the long suffering girl behind the counter. Never mind apologising to the girl standing three feet in front of her, it’s the the poor devils standing right behind her who rate an apology. When she leaves, the whole place collapses in hysterics. Farting is funny, isn’t it? Especially when the one responsible is dressed up to the nines and has just driven off in a Porsche. When someone sneezes the phrase ‘bless you’ soon follows. Oddly, there's no commonly known polite word or phrase, the equivalent of ‘bless you’ when someone else breaks wind. Farting is presumably considered too impolite to deserve a salutation. How unfair. Sneezing and breaking wind are both involuntary acts common to every person who’s ever lived so why stigmatise one aspect of human physiology and not another? 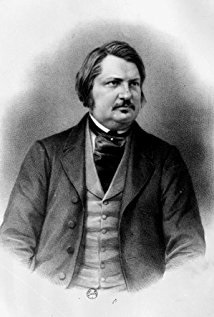 When the great French writer Honoré de Balzac was starting out as a writer he told a friend he wanted to be sufficiently famous to be able to fart in public with impunity. Having seen photographs of Monsieur Balzac I don’t imagine even his strongest admirers would include the word callipygian when describing his hindquarters so credit must be paid to the ambitious nature of the activity he aspired to upon achieving fame. The unfortunate link between what most people regard as an antisocial act and the surname of the current US President is hardly conducive to the association of statesmanlike gravitas and ‘the Donald,’ but as it’s only the Brits who find the word ‘trump’ childishly amusing his large band of admirers will, presumably, not dwindle away any time soon. In our recent trip to America I had a conversation with a fellow hotel guest, a man from Texas, about the different meanings between words in our supposedly common language. The Texan was intrigued to learn the word ‘trump’ has connections with flatulence in England. He raised an ample buttock cheek off the chair, broke wind quite remarkably loudly and said, ‘get out and walk, Donald.’ I didn’t claim he was a particularly sophisticated conversationalist. In ancient Rome, the Emperor Claudius, fearing that holding farts in was bad for the health, passed a law stating that it was acceptable to break wind at banquets and apparently set a fine example. Inuit people in Canada consider farting after a meal to be an expression of thanks and appreciation to the cook while an Indian tribe in South America, the Yanomami, fart as a means of greeting one another. Different cultures, eh? Wouldn’t go down too well in Tunbridge Wells. Scientific research establishes the average person farts 14 times a day and that most farts take place at night while sleeping. 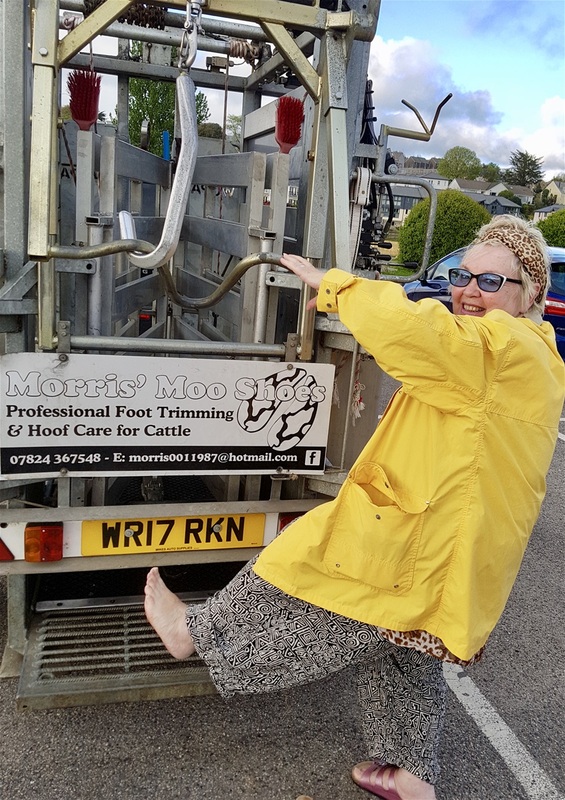 Imagine slogging away to earn your Masters Degree and choosing to devote your working life to the scientific study of nocturnal emissions. The doom and gloom merchants forecasting global warming and an imminent end to civilisation decided long ago that the internal combustion engine is the greatest threat to our continued existence. Every time we return to England we realise there are a lot of cars on the road. No more than in France or Spain, I’m sure, but those countries are several times larger so we hardly ever come across a traffic clogged motorway. Evil cars, pumping out carbon monoxide and destroying the ozone layer. The recent volcanic eruption In Hawaii added more carbon dioxide to the atmosphere than the emissions of every car that ever rolled off a production line which should give pause for thought. Natural phenomena aside, nobody ever seems to mention cows, a far greater threat to the environment, and there are, apparently, 1.5 billion cows in the world compared to 1 billion cars. Cows - along with other ruminants such as sheep, goats, giraffes and deer - produce methane gas when digesting their food. Methane produced by cows is more damaging to the environment than the carbon dioxide produced by cars. Over twenty-three times worse! Leave cars alone and get rid of cows if we really want to preserve the life of our planet. Even though there is more carbon dioxide in the atmosphere, methane traps more heat from the sun, meaning it contributes far more to greenhouse gases and global warming. Not that cows are the greatest ‘offenders’ when it comes to breaking wind, but there are a great many of them. The most prolific farters in the world are termites. Bonus point to anyone saying, ‘I knew that.’ Next in line are camels, then zebras, sheep, then cows, elephants, dogs (I can vouch for labradors!) and way down the list, humans. No idea what Google will make of my recent search history, or how they will apply this knowledge, after I spent over an hour researching farting! One more thing, as Steve Jobs used to say, while I’m on this somewhat unsavoury subject: flatulence has featured in the works of many great men. Geoffrey Chaucer, no less, offered this in The Miller’s Tale, part of The Canterbury Tales. I ‘did’ Geoffrey Chaucer as part of my A level syllabus and can still remember the expression on the face of the wretched boy struggling to keep a straight face while reading this passage aloud to a classroom full of ribald teenagers. ‘Fart for freedom, fart for liberty—and fart proudly.’ Worthy sentiments indeed, offered up by Benjamin Franklin, one of the founding fathers of the United States. James Joyce, who deserves to have the recognition of his full name - James Augustine Aloysius Joyce – was surely one of the most influential and important authors of the 20th century. He is best known for Ulysses, Dubliners, A Portrait of the Artist as a Young Man and Finnegan’s Wake. I’ve read them all. Great literature they may be, yet I derived far more enjoyment from letters he wrote to the splendidly named Nora Barnacle who later became his wife. Beats Finnegan’s Wake any day! Okay, back to our travels now. 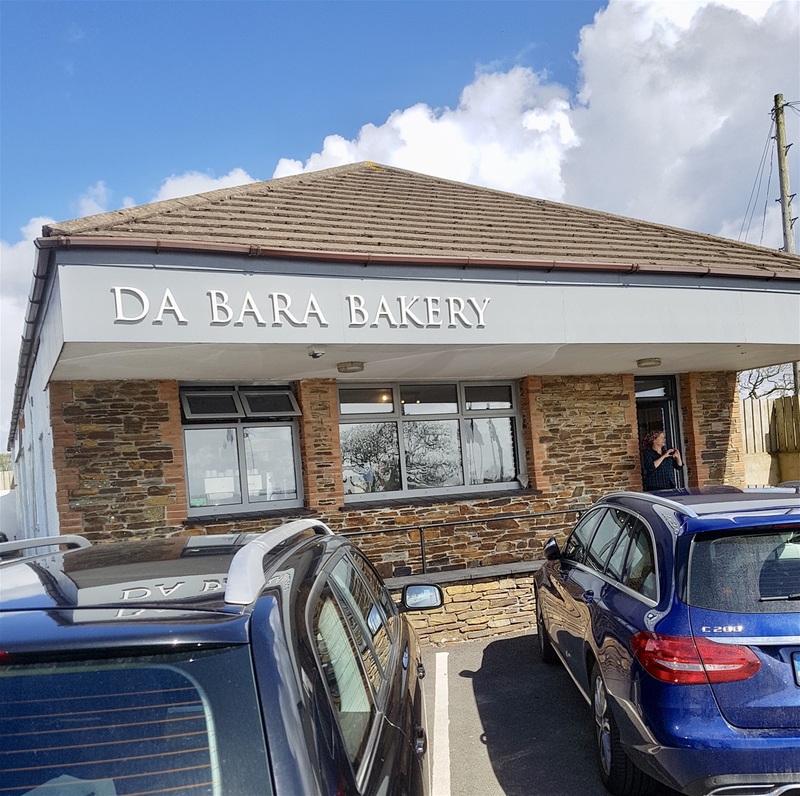 We’d visited the café with the flatulent customer - not likely to be confused with Jeffrey Archer’s wife whom a High Court Judge called ‘fragrant’ at Archer’s trial for perjury – after coming across the actual bakery that supplied it on a small industrial estate between Truro and St Austell. 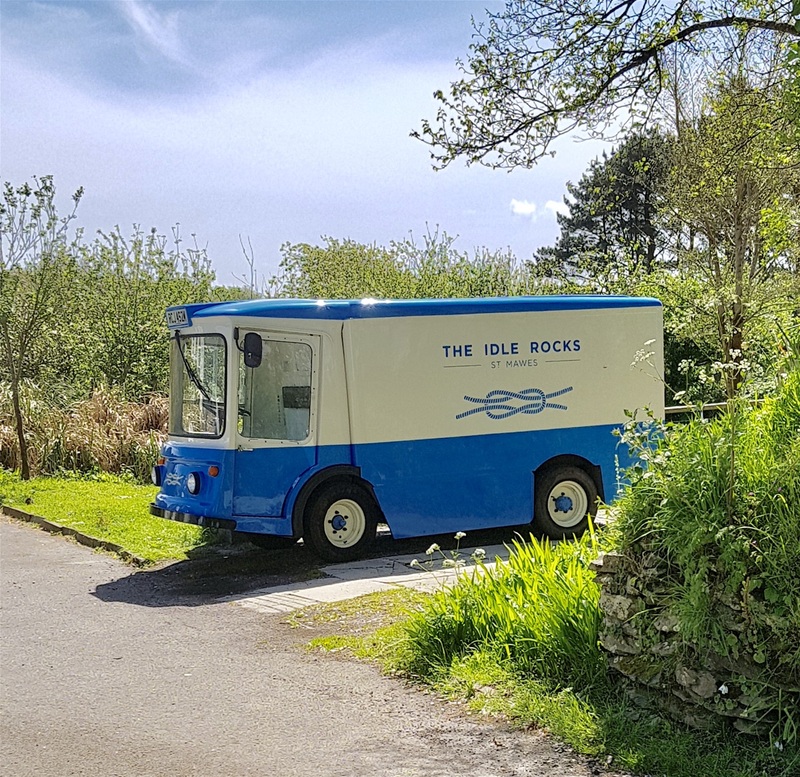 The tiny bakery supplies many of the upmarket hotels and restaurants in Cornwall and also trains each new entrant onto Jamie Oliver’s 15 scheme on the art of bread and pastry making. 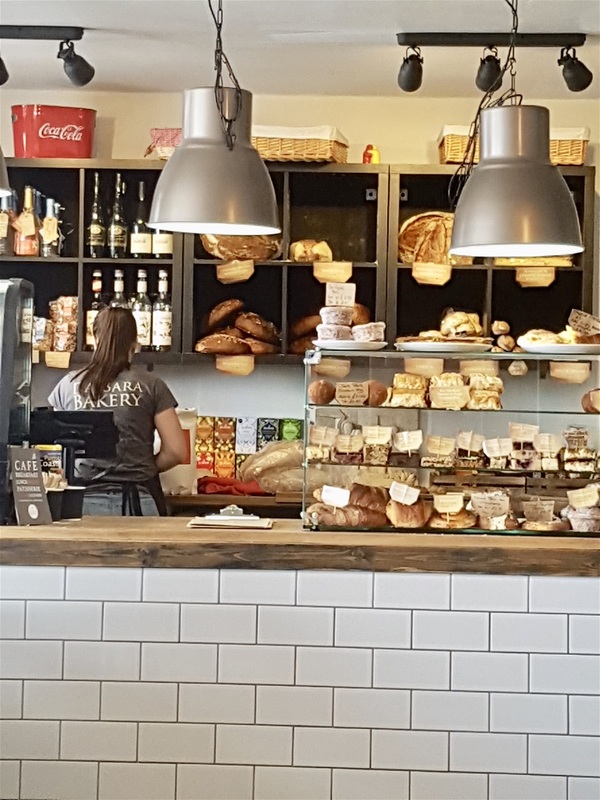 The café is hugely successful with its local clientele, mainly wealthy visitors with (expensive) second homes on the gorgeous Roseland Peninsula. 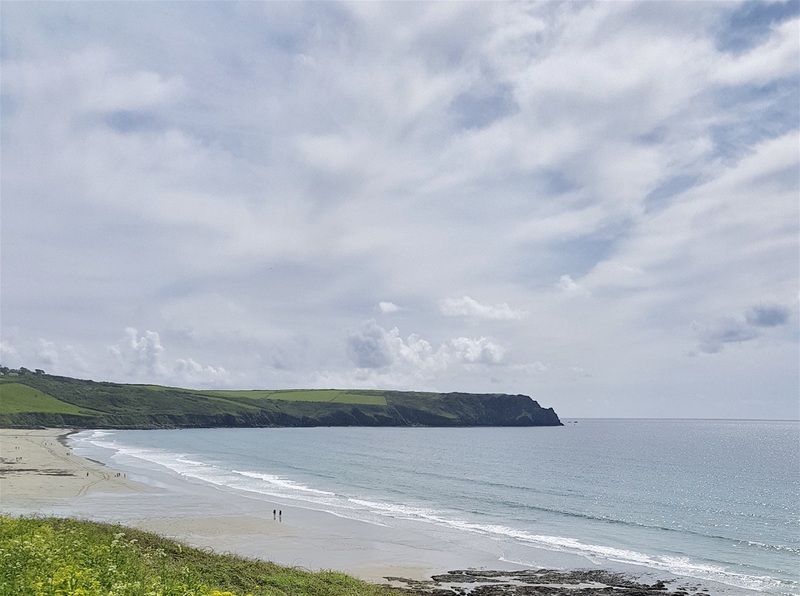 On the road to St Mawes, we called at Pendower Beach. 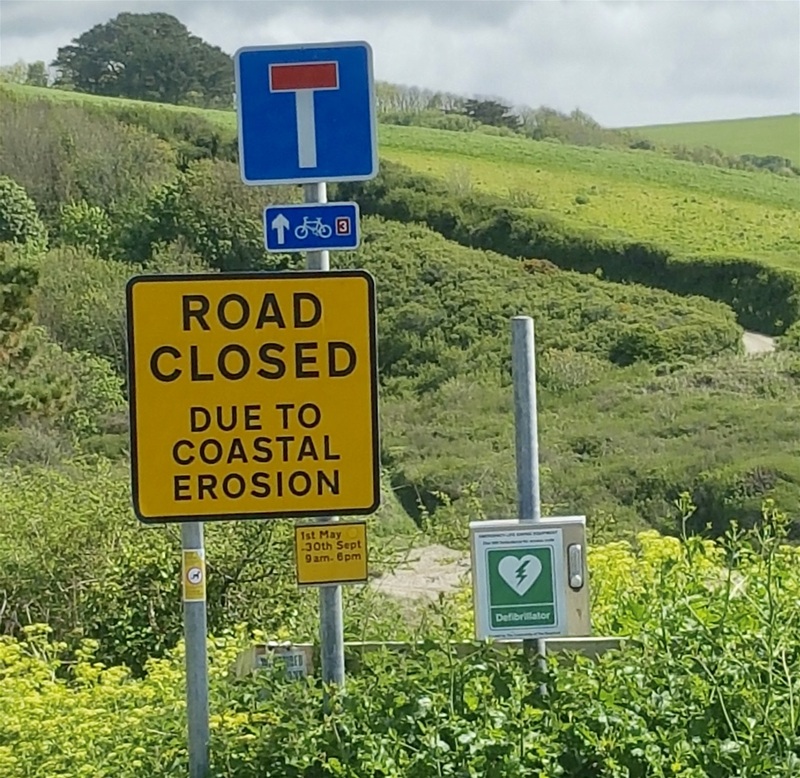 The road beyond the top car park was closed due to coastal erosion, so we walked down the hill and strolled along the beach. The sun went in behind clouds as we reached the furthest point making the long slog back up the hill even more of an ordeal. Just before we reached the car park we were overtaken by a very stout, red faced man being dragged along by a pair of Irish wolfhounds. ‘You need to get yourselves two of these,’ he panted. 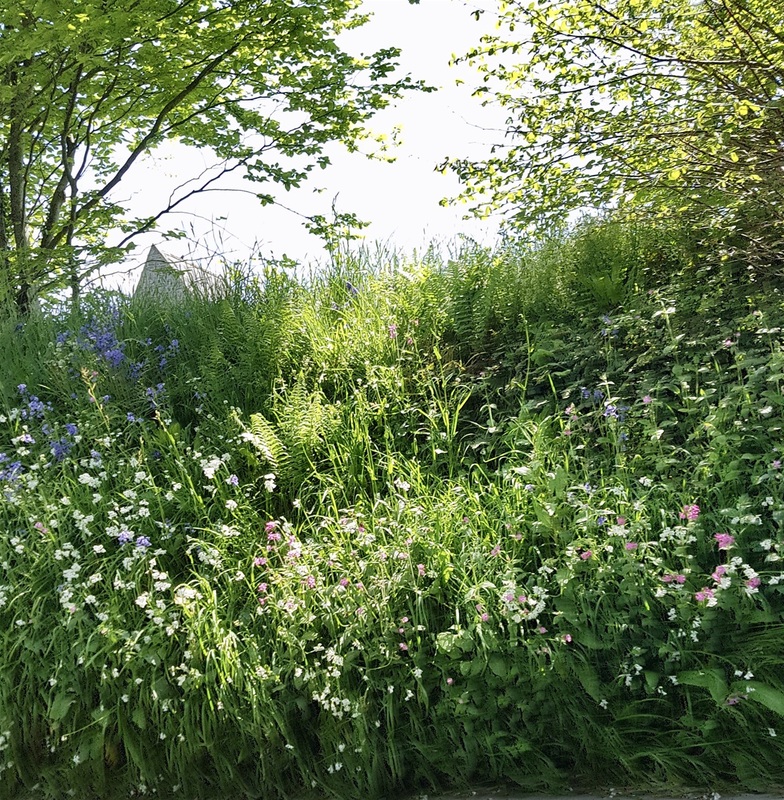 The trek up the hill may have been both quicker and easier with the benefit of canine assistance, but judging by his florid complexion he may have been suited to a more gentle ascent. Not that we were exactly pallid of face when we wearily climbed into our car. St Mawes looked as lovely as ever and the sun had come out again. 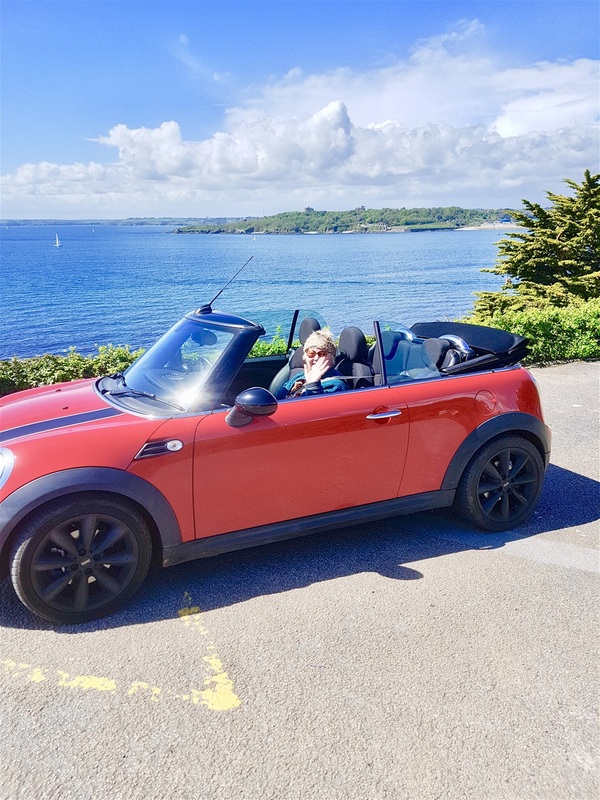 We drove along the sea front and stopped to admire the view from St Mawes Castle on the headland. The castle dates from 1539, in the reign of Henry The Eighth. In the early stages of his ‘wives’ saga, Henry’s attempts to persuade Pope Paul III to annul the long-standing marriage to his wife, Catherine of Aragon and remarry failed and he took the drastic step of breaking away from Roman Catholicism and founding his own church, the Church of England. As head of the church he could now divorce Catherine and take another wife. The solution to Henry’s problem threw up many more in its stead. Catherine was the aunt of Charles V, the Holy Roman Emperor, and he took the annulment as a personal insult. This resulted in France and the Empire declaring an alliance against Henry in 1538, and the Pope encouraging the two countries to attack England. When invasion of England appeared certain, Henry issued instructions for the "defence of the realm in time of invasion" and the construction of forts along the English coastline. The stretch of water known as Carrick Roads at the mouth of the River Fal was an important anchorage serving shipping arriving from the Atlantic and the Mediterranean. 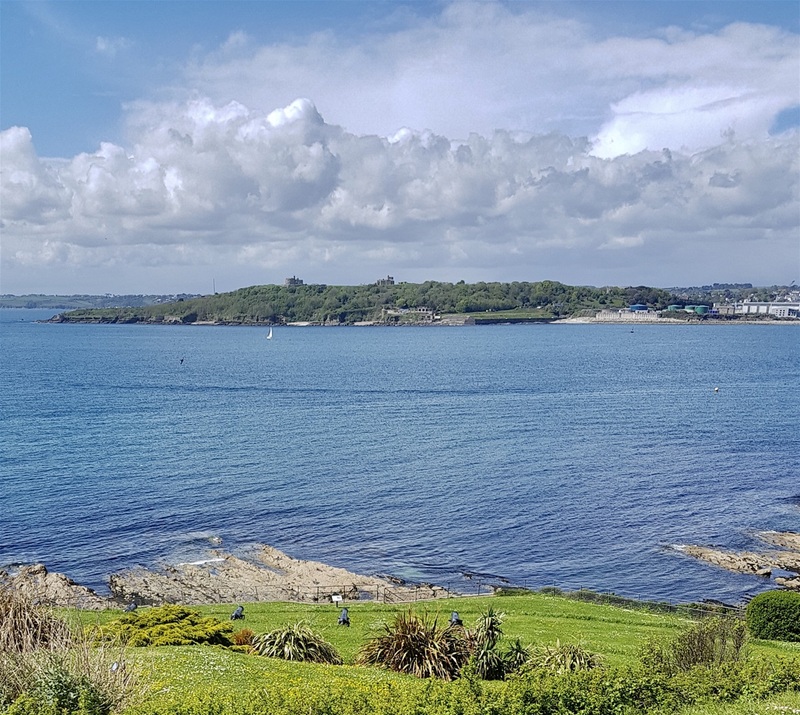 Pendennis and St Mawes Castle were positioned on each side of Carrick Roads and able to provide overlapping fire across the water. 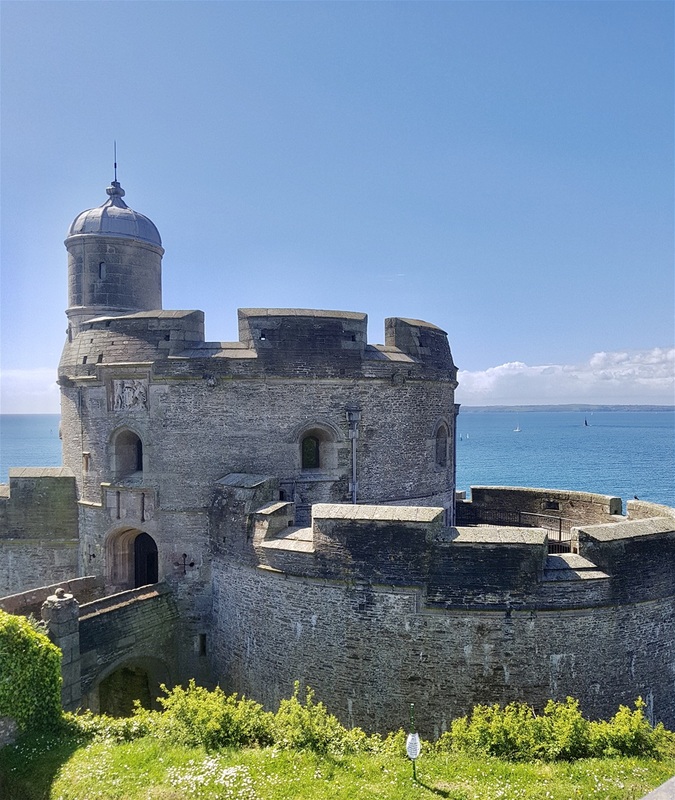 St Mawes Castle is the best-preserved of Henry VIII's coastal artillery fortresses and the most elaborately decorated bearing carved Latin inscriptions in praise of Kings Henry VIII and his son Edward VI. The cannon facing out across the narrow strip of sea between the castle and Pendennis Castle set on the opposite hill above Falmouth are still there, even though they were never used. 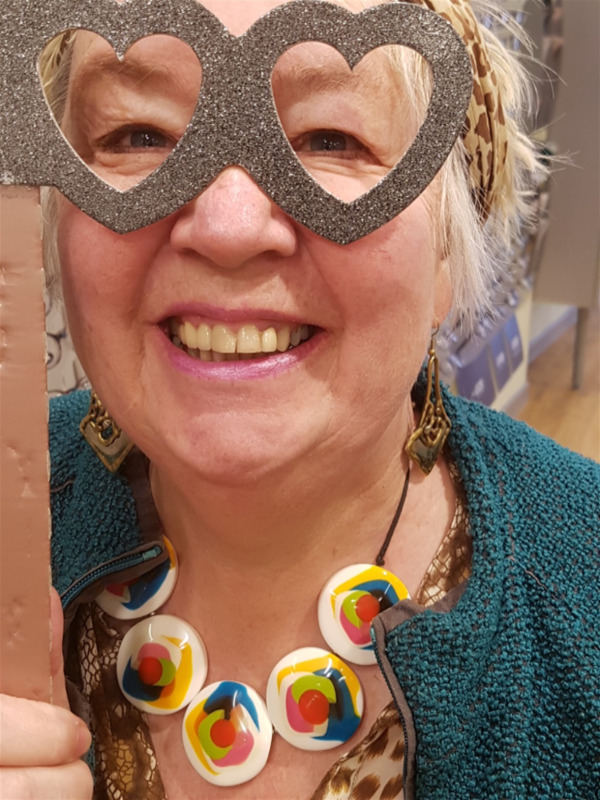 Marigold collected her new glasses, always a time of great excitement (!) and to ‘try them out’ we went to the cinema in Wadebridge. 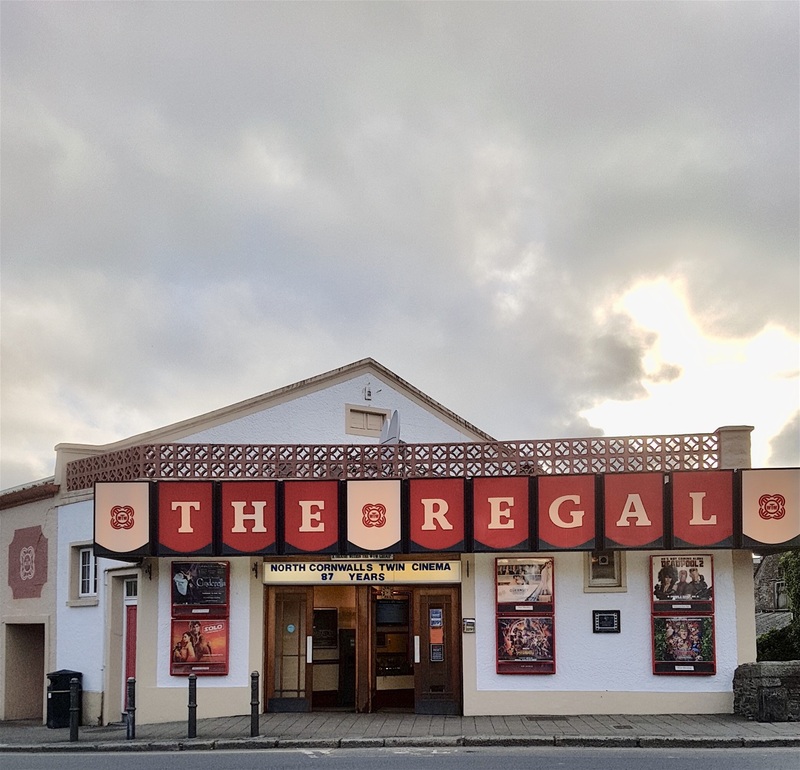 The Regal resembles a small town cinema from a bygone era, which it is of course, but what it lacks in facilities it makes up for in charm. Very ‘Cornish’ and that’s a compliment. We also met a man named Paul, originally from Yorkshire, who proved to be excellent company. 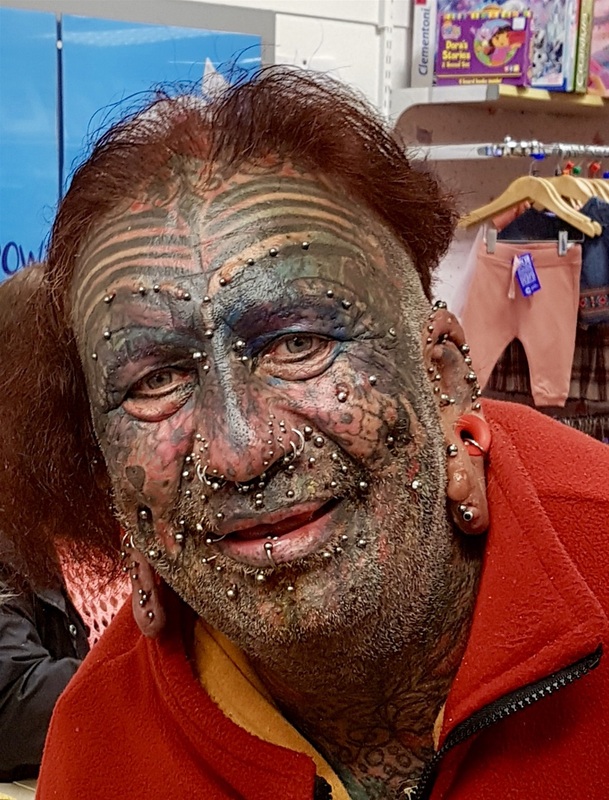 Paul is tattooed, from head to foot and everywhere in between. Yes, everywhere, although we had to take his word for that claim! Not that we doubted it. He’s been on television many times, usually when being questioned about the plight of the homeless. 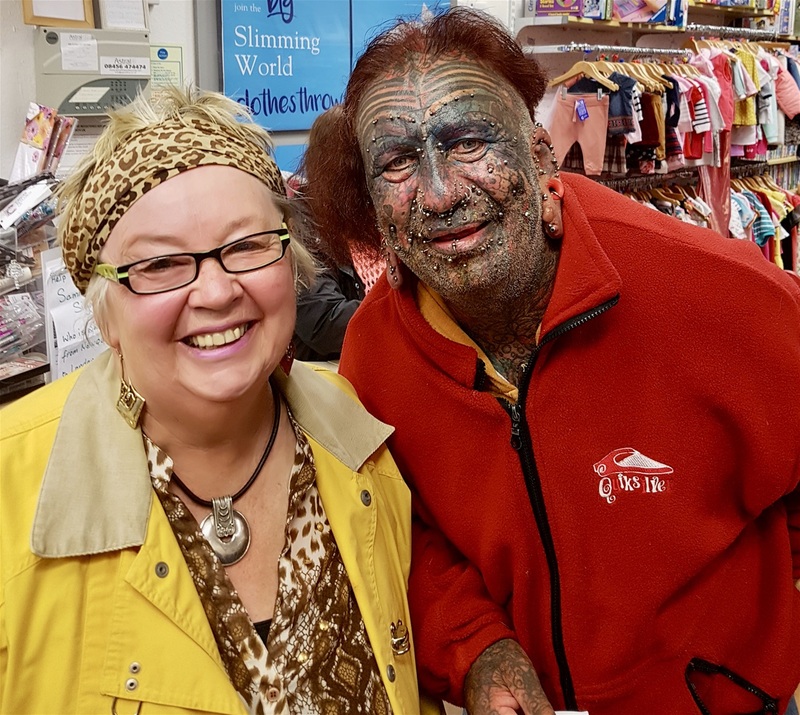 ‘Are you homeless?’ Marigold asked. 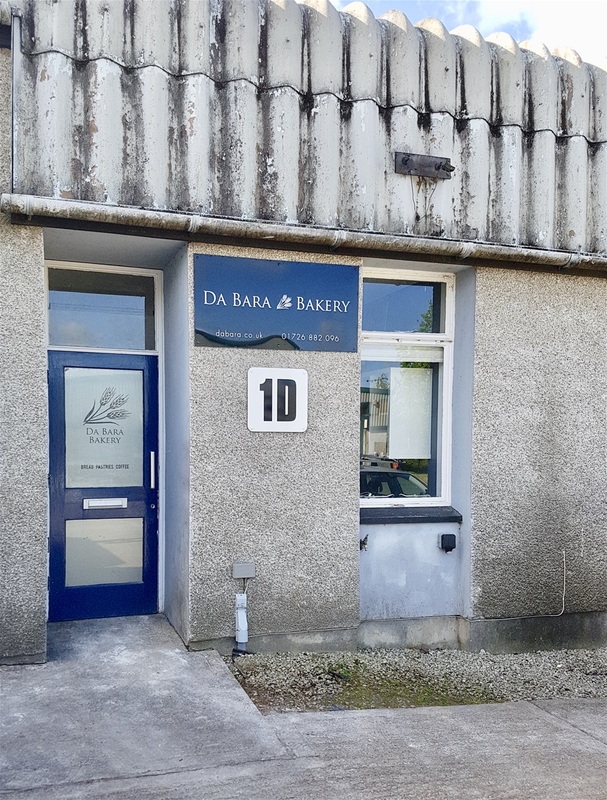 De Bara Bakery Cafe. Please don’t come inside if you feel a bit windy. Home Base. Obviously not a multinational concern. Yet. A long way down to this beach. It seems even further coming back up the hill. Pendennis Castle opposite. Cannon facing out to sea, ready for action. 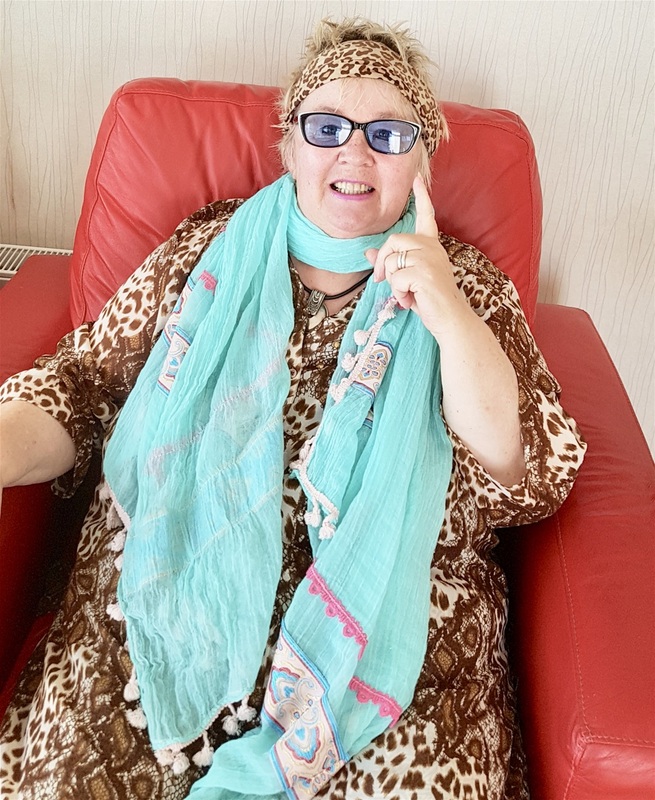 These are NOT Marigold’s new glasses, but she likes them. 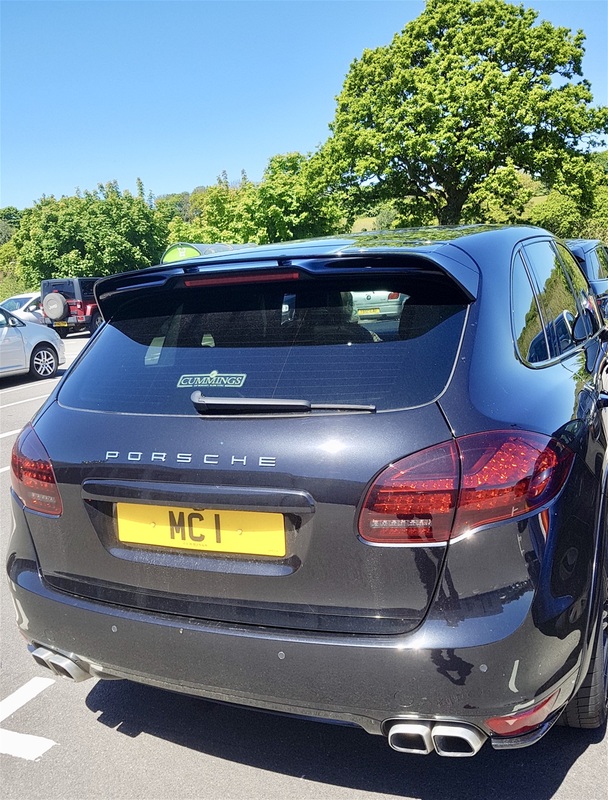 Marigold’s new car? The personalised number plate matches. 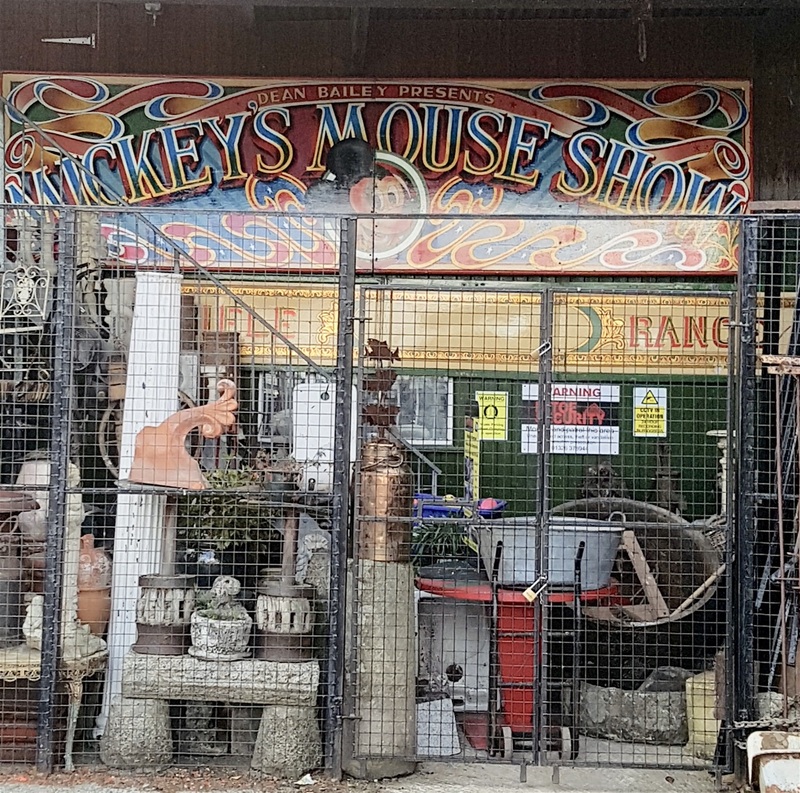 ‘Antique shop,’ it says. Hmm! The Regal. Not changed much in 87 years and all the better for it. 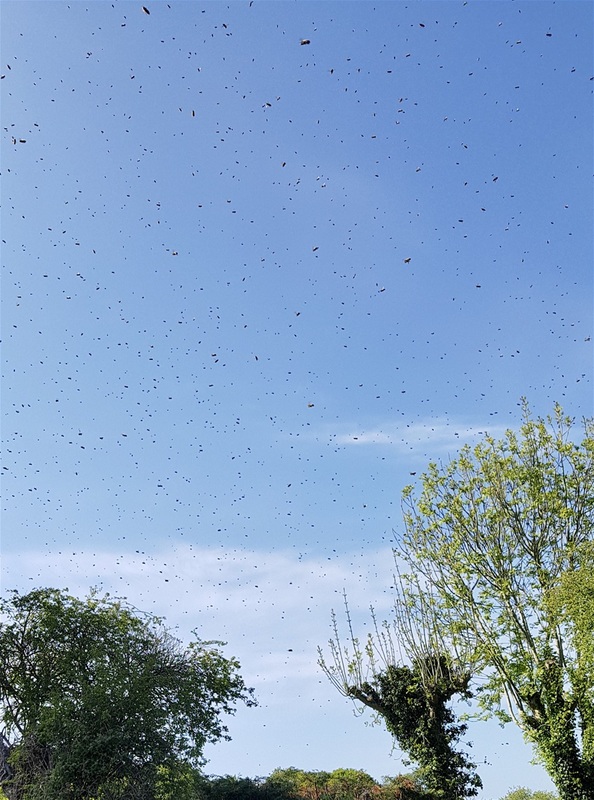 A swarm of bees, passing by. Fortunately. 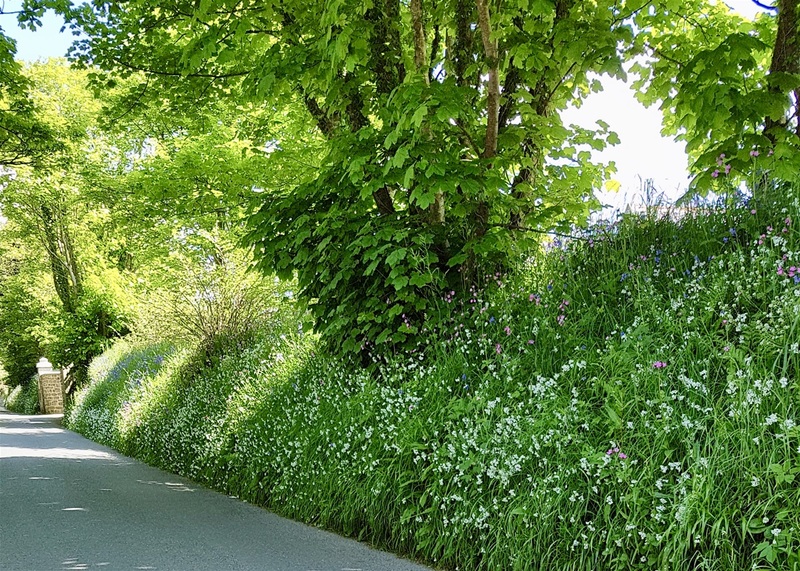 Wild flowers at the roadside. 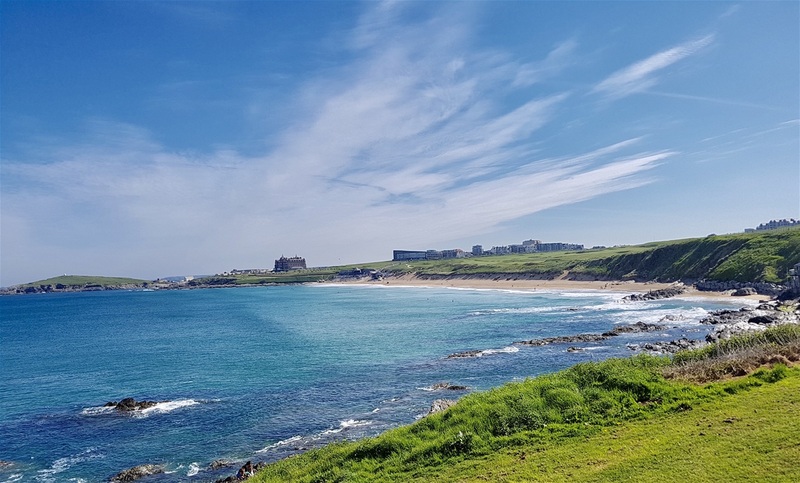 View from Pentire Headland on a beautiful May morning. 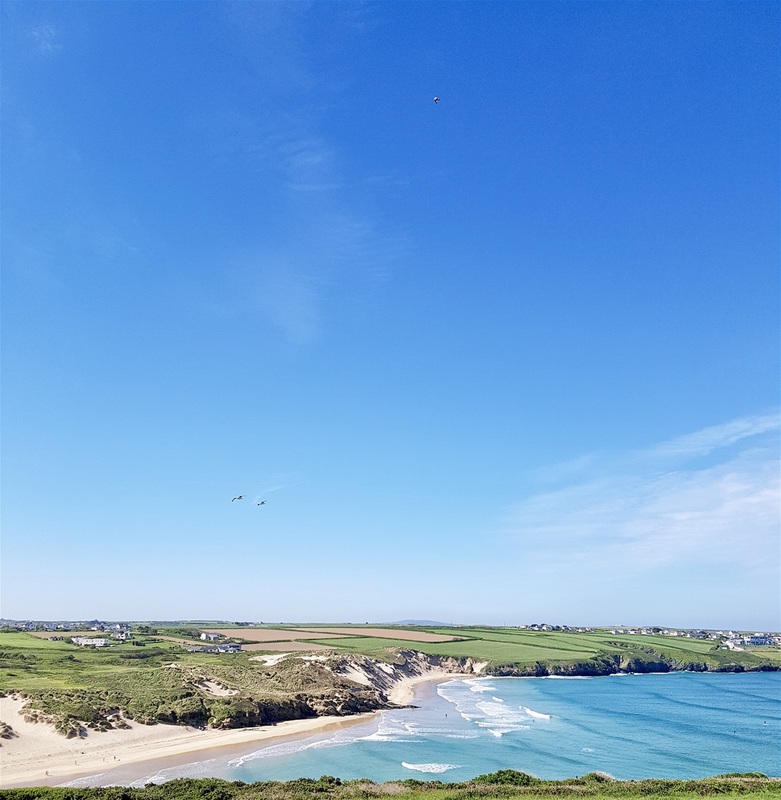 Is there anywhere nicer than Cornwall on days like this? We don’t think so.